Orlando Kias is a collection of three new and used Kia dealerships in Orlando and Central Florida. Thank you for the opportunity to tell you more about our three convenient locations. We are proud to boast a team of friendly sales associates, lease deals on new Kias, and professional auto mechanics. Visit any of our Kia dealerships near Altamonte Springs and Winter Park to enjoy a wide array of new Kia models for sale. If you are in the market for a new Kia Optima, our finance department is here to help you apply for an affordable car loan. Our associates can also help you decide if it's better to buy or lease. We hope to help drivers from a range of credit scores receive new and used car financing. If your credit score is less-than-perfect, speak with our finance associates about alternative credit options in Orlando and Longwood. We want to help you secure a used Kia Rio to inspire your daily drive. To keep your new Kia Soul running at factory standards, visit any of our three Kia service centers in Orlando and Central Floridaorida. The professional mechanics at our nearby service departments provide dependable auto repair. Our team only installs factory-approved parts during your scheduled service. Schedule your Kia oil change or battery test with our service professionals. We are here to service many of the makes and models enjoying our Altamonte Springs and Winter Park roads. 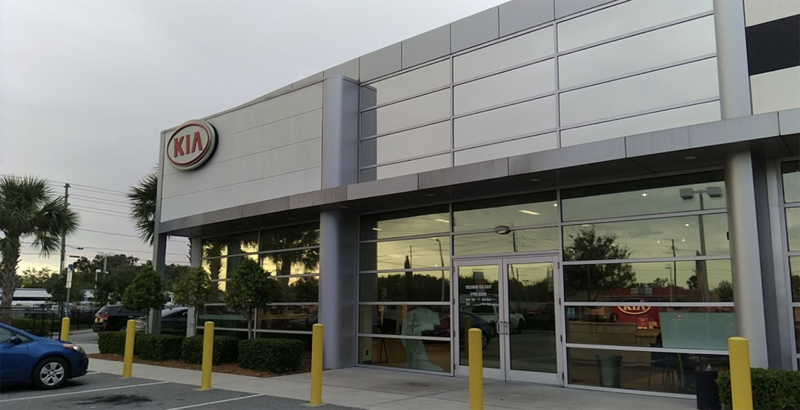 Whether you drive a new Kia Sedona or a used minivan from a different manufacturer, the Orlando Kias team is here to get you back on the road. The Orlando Kias dealership is here to assist you with model research, auto repair, and new car lease deals. Find our three locations conveniently located in Orlando and Central Florida.